The first thing I taste from the surface of these pieces is a grilled pork flavor, with a light BBQ and shades of smoke. There's hints of the ketchup and apple cider vinegar, a light sweetness, and touches of clove. For being labeled as "Pork BBQ Spare Rib" it certainly holds up well. It definitely has a BBQ flavor, but more of the dry-rubbed Memphis style, than the sweet and saucy St. Louis style. But it brings in the pork spare ribs you tend to get from a Chinese restaurant, with it's tomatoey flavor, the touches of smoke, and the spicy, flowery, clove. 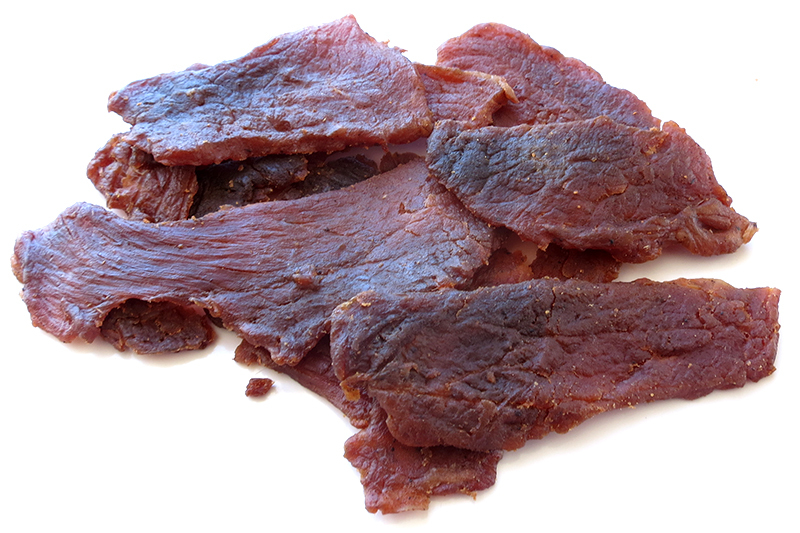 Otherwise, the primary taste profile of this jerky is a Chinese-style BBQ pork flavor, with more emphasis on tomato and spice. 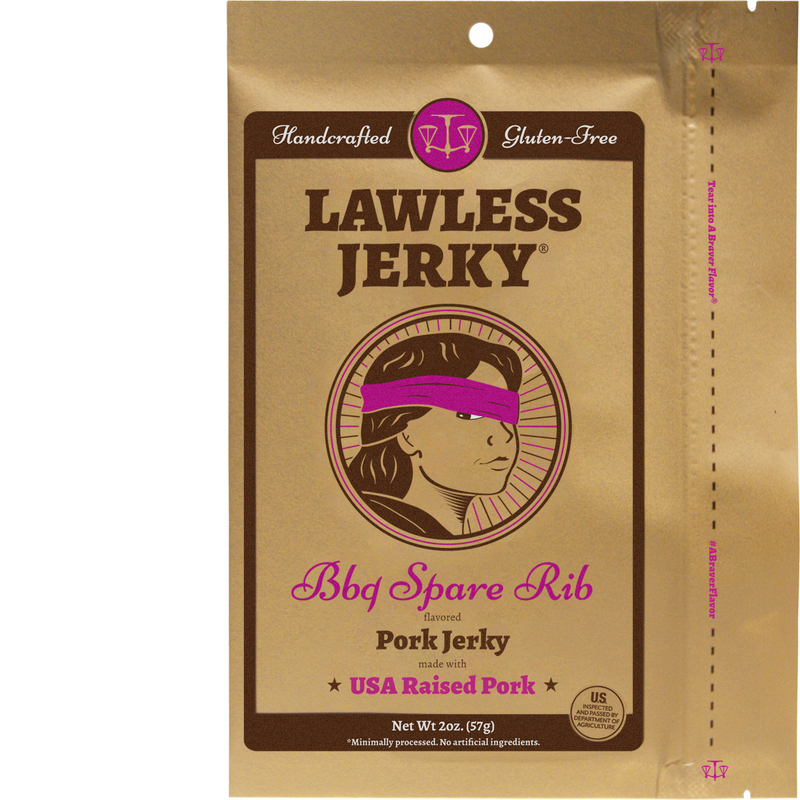 It's lightly sweet and smoky, and brings out some of the natural pork flavors. After eating several pieces, there is a mild peppery aftertaste building. 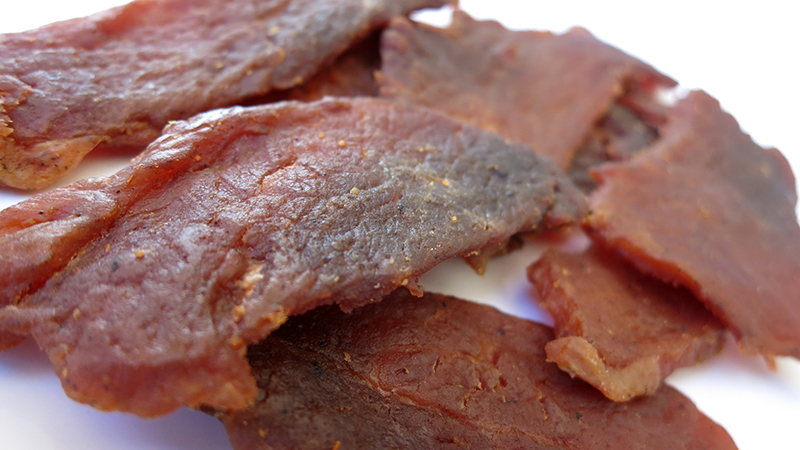 The meat consistency looks to be all meat, with only a few small spots of fat visible. Otherwise, it chews very tender and somewhat moist. It has a meaty feel overall, with some more soft than others. This Pork BBQ Spare Rib jerky from Lawless Jerky does a pretty good job of mimicking the flavor of Chinese-style spare ribs with its lightly spicy, lightly sweet tomato flavor. Even though Lawless doesn't mention the use of smoke or liquid smoke, there's shades of smoke flavor that come through, very comparable to what you'd taste from a Chinese-style BBQ. But it's tiny touches that I like the best in this jerky, like the clove, the tomato, the smoke, all of which make small contributions, but enough to recreate the flavor and experience of eating Chinese-style BBQ pork spare ribs.